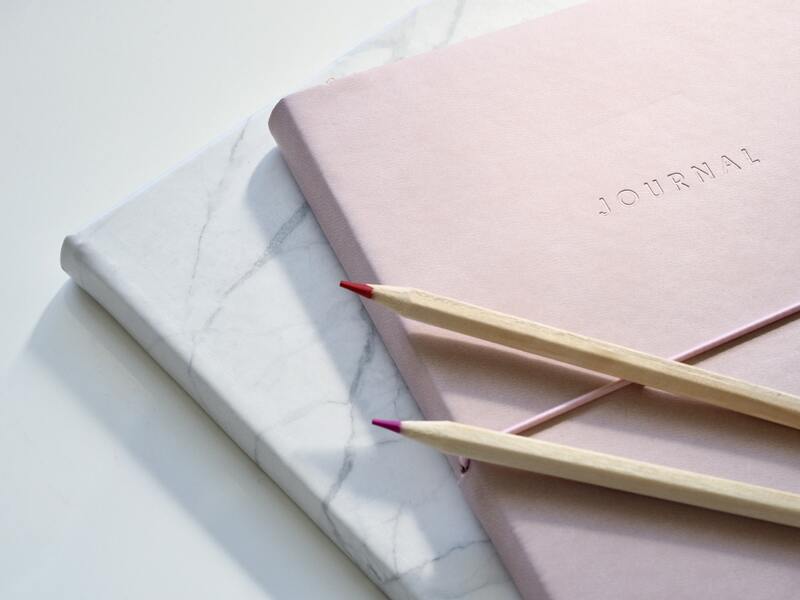 We can all be living in a beautiful state of mind and using the concept of gratitude journaling will have a massive impact in helping you achieving just that. As you have learned earlier, there are many things that can help you get the results you want in life much faster! I have been writing about the importance of having great habits, affirmations, autosuggestion, your Reticular Activating System and your subconscious mind working for you. A journal of gratitude is a great tool to help your mind shift from all the negative thoughts to a positive state of mind. By using the journaling system consistently you will feel more positive about life and see more opportunities around you. It is simple to use and you just have to spend a few minutes per day with this joyful task of being grateful and writing down what it is that you are grateful for:)! Just get yourself a notebook if you don’t already have one and yes, the physical version..! Once you start using it you will realize how nice it feels to get some of your thoughts down on paper. It will save you mental energy for sure as you don’t have to keep those thoughts in your head once written down. By writing things down you will also make it easier for you to remember. Should you forget, you still have them written down and can always go back to them. The mental relief is even greater if you get some negativity out (we know most of our re-occurring thoughts are negative). Then they don’t have to be in your head and impact your life in a negative way any longer! Ok, enough about negative mind chatter for now and check out this post if you want to know how to take control of your monkey mind. Let’s instead focus on how you can use gratitude journaling and what positive impact it will have on your life if you use it consistently! Every evening and just before going to bed I want you to spend a few minutes to just write down what you are feeling grateful for. It can be anything, big or small, it doesn’t matter. The key thing is that you spend a few moments to reflect upon what has happened during your day, that you can be grateful for. There are no rules, so either just write down bullet points or full sentences about what you are grateful for. When you have written this down, just spend a few moments to go through it in your heart and truly feel grateful for them. This part is super important because those emotions will make the difference of you creating a beautiful state of mind or not for yourself. When you go to bed, you think about what you have written down and what you have to be grateful for. Hopefully you will have a brilliant night’s sleep, dreaming about all the great things you have happening in your life. When you wake up, reach out for that notebook again and read what you wrote down the night before. Starting the day with a heart full of gratitude and a big smile on your face is truly a great start! When the next evening comes, you start writing it down again…….. making sure to feel the appreciation and joy in your body and mind. Showing gratitude is simply about being thankful for something. Feelings of gratitude go deeper and is more like an emotional appreciation for something and the benefits of those feelings and emotions are significant to our well being. We have already mentioned the fact that most of our re-occurring thoughts tend to be negative and we have also been through how and why we become what we think about. By starting to notice and paying attention to all the things we have to be grateful for in life, our minds start to shift. This is what has happened to me and I really want you to also enjoy the benefits of being grateful for what you do have in your life already. Personally I show and feel gratitude every morning during my morning rituals. Check out this post if you are curious about my morning routine and you can also download your own template. Because of the positive impact gratitude has had on me, I have also included it in my daily journaling. Since I started to do this, one thing has become very clear – good things happen to me all the time! Both smaller things and larger things are now occurring in my life all the time. I don’t know if they were not happening before or if I just didn’t see them! I have since written a couple of post about these synchronicities which now happen for me all the time. I am pretty sure my daily gratitude habits have had a significant impact on my “awakening”. Lots of things I used to either take for granted or completely miss are now a daily bliss. As this started to happen I made sure I started paying more and more attention to things in my life and surrounding. This mindfulness has been great as I can now enjoy the small things in life that most people just take for granted. Why is this any good you might ask? Well, anytime I have a negative thought or something negative happens, I can immediately change my state of mind by instead being grateful for something in my life or surrounding. If you want to read a great post on all the benefits of gratitude journaling, click here. I am expecting you to have and feel the same benefits as I have experienced since I started practicing gratitude journaling. You will start noticing and appreciating smaller things around you. You will not take anything for granted and because you don’t, you will appreciate them even more when you experience them! If you are consistent for a minimum of one week, I would expect you to notice the difference. If you don’t, just ask your colleagues or friends as I am sure they have noticed the difference in you! After about three weeks I expect you to have a more positive outlook on your life and future in general as well as appreciating your days even more. Remember, one step at the time but consistency is key! Just be happy for the feeling of the wind on your face or noticing the rain drips falling off a leaf. It doesn’t have to be big! The big stuff, we will notice anyway and we should be grateful for them as well of course. However, it is noticing and appreciating the smaller things that most likely will make the biggest positive impact in your life and that is what I want for you. Be grateful for all the small positive things happening in you life and you will soon find yourself living in a beautiful state of mind!